Halloween, Guia, Argos, Peter and Marigan are proclaimed winners of this XI edition. More than 40 boats and sailors from 7 countries have competed during three days for one of the most prestigious trophies in the Mediterranean. The world elite of classic boats says goodbye to Barcelona, ​​after another unique meeting that offered citizens and tourists the most sophisticated spectacle of sailing. This afternoon finished the Puig Vela Clàssica Barcelona XI edition. 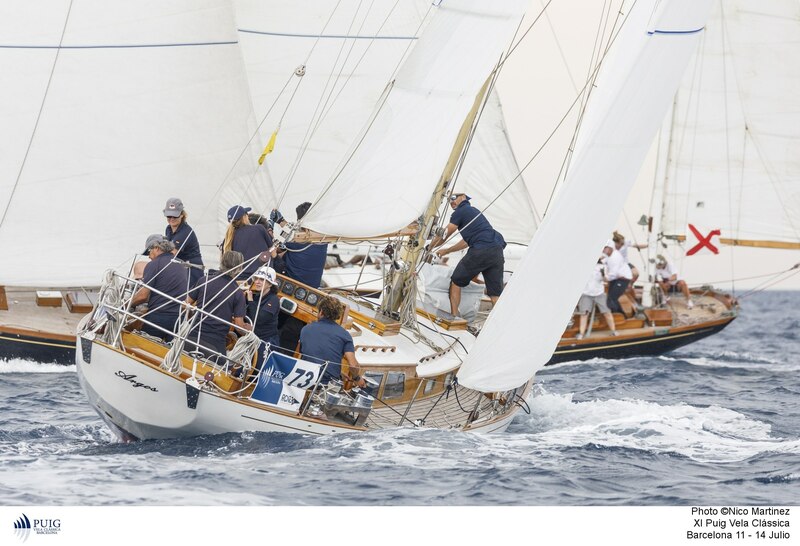 Classic and vintage boats of seven different nationalities have competed to win one of the most prestigious Mediterranean trophies. 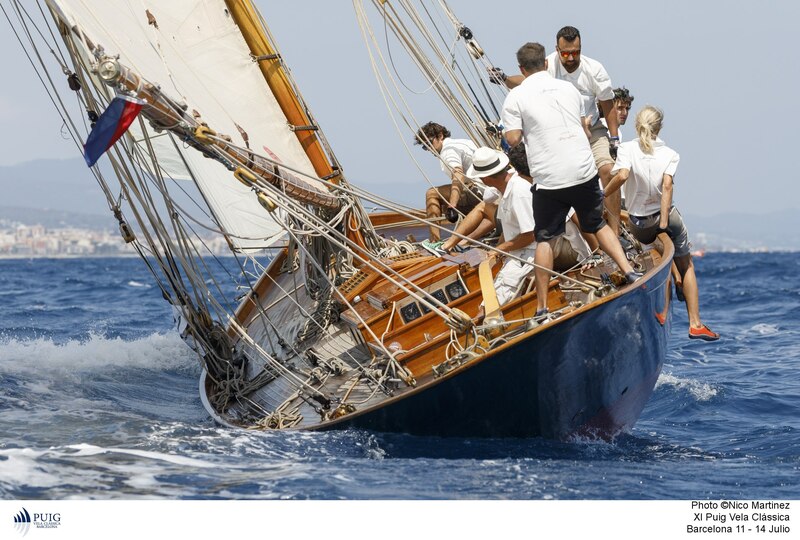 The third day was the final touch to the Puig Vela Clàssica Barcelona regatta, full of history and considered one of the best classic regattas in the world. This edition has offered the most varied wind conditions: an always changing wind that has been losing strength as the competition progressed. 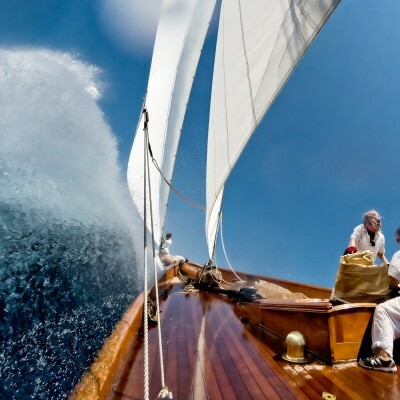 The third and last race day of the Puig Vela Clàssica Barcelona regatta could not take place due to lack of wind. At 1:00 pm, the race committee delayed the start, waiting for the main actor who did not attend its usual appointment with the Barcelona regatta field. The thermal breeze coming from a south-west wind was not strong enough, so an hour and a half later the committee decided to suspend the race and send the fleet back to its moorings of the Real Club Náutico of Barcelona. The final classifications of the five categories had no changes versus the day before, so the provisional leaders sailed back to the moorings knowing themselves winners of the XI edition. 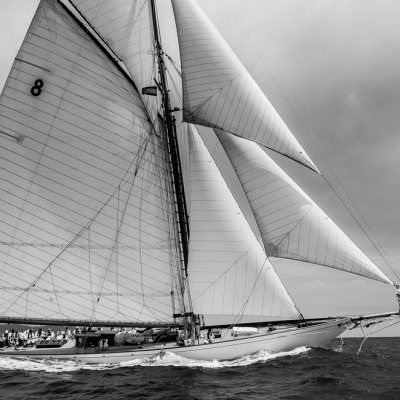 In Big Boats category, the Irish boat Halloween, by Mick Cotter and skippered by Iñigo Strez, saw its name for the first time since 2010 in the winners’ list. Moonbeam IV, skippered by Mikael Creach, asserted its best partial results to win the tie-breaker with Moonbeam III and took the second place. 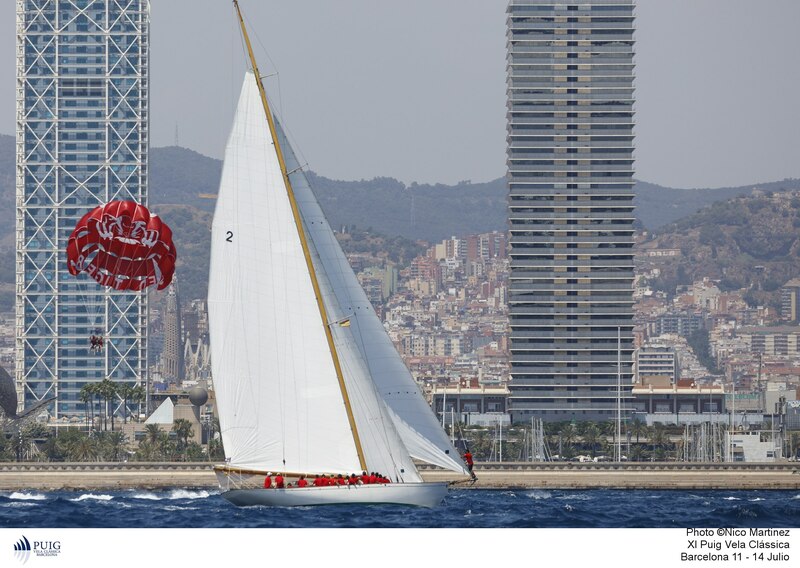 In fourth position Kelpie of Falmouth while Nordwind, debutant in Barcelona, ​​closed the classification in fifth place. The classics fleet had the most adjusted classifications in its two categories. The Classics 1, of greater length, have had in the Guia an emotional winner. 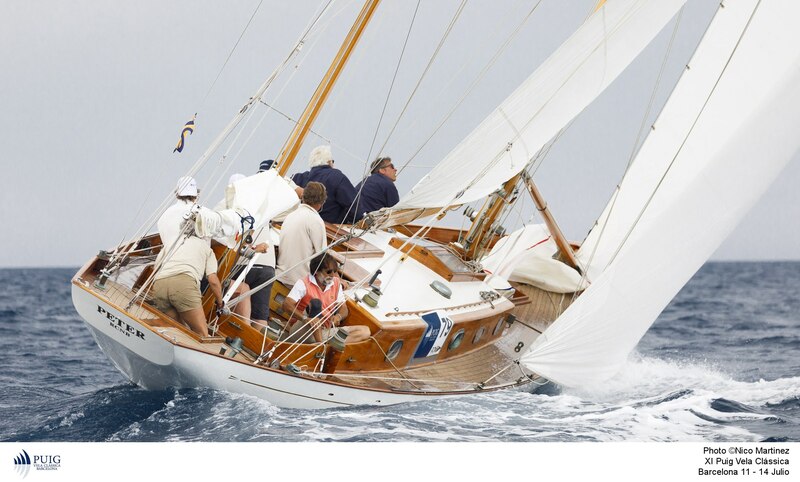 His passionate ship owner, Ramón Rosés, had died a few days before the Puig Vela Clàssica Barcelona regatta started. One of his last wishes was for the boat and its crew to compete in this Xi edition, so the crew dedicated the victory to him. Yanira of Andrés Leon with also 5 points but worst partial results was classified in second place, able to overcome the Italian boat Corsario and the French boat Sagittarius, tied at 6 points. In Classics 2 the victory of Argos of Barbara Trilling, has been unquestionable after its two partial victories, but the three following positions were decided by a single point. While Argos added 2 points to its result, Altamar computed 5 points, Margarita 6 and Diana 1 more. Both categories of vintage boats had clear winners after two separate victories in the two contested races. 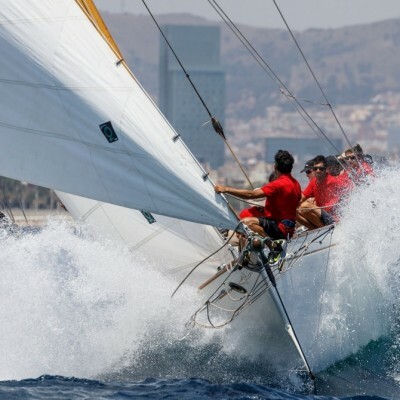 Marigan of Tim Liesenhoff prevailed on the Cangreja Époque, inscribing for the third time its name in the list of winners of the Puig Vela Clàssica after its victories in 2009 and 2010. The second classified was Gipsy of Ricardo Rubio, followed by Freda of Miguel Rigo and Bon Temps of Santiago Godó. In the Bermudian Époque the Italian boat Peter repeated victory. The boat built by Claudio Mealli with Mauro Perlaschiar at the helm had already climbed to the top of the podium in the 2011, 2013 and 2014 editions. 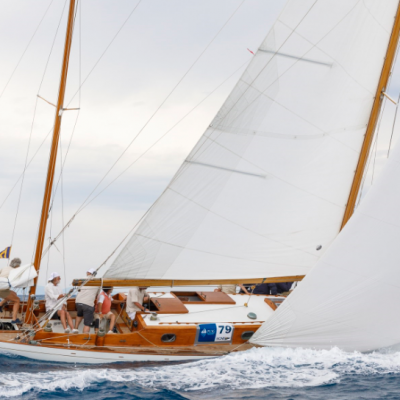 Jordi Cabau’s Mercury was second, preceding Irina VII and Islander, tied at points. 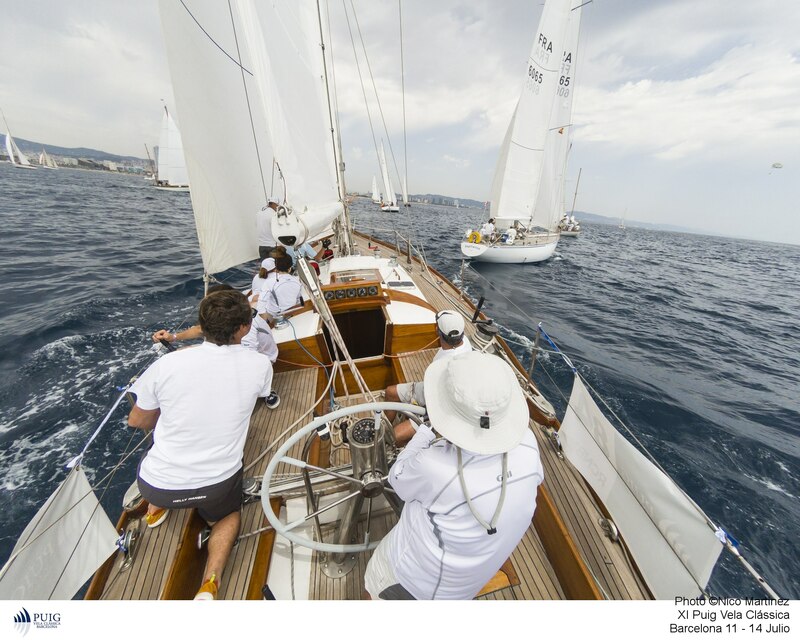 Spanish Peter and Guia received the Enrique Puig prize in this XI edition of the Puig Vela Clàssica Barcelona.